Wednesday, April 10, several students of William Jewell College and community members gathered in Gano Assembly for chapel – but they did not sit down. 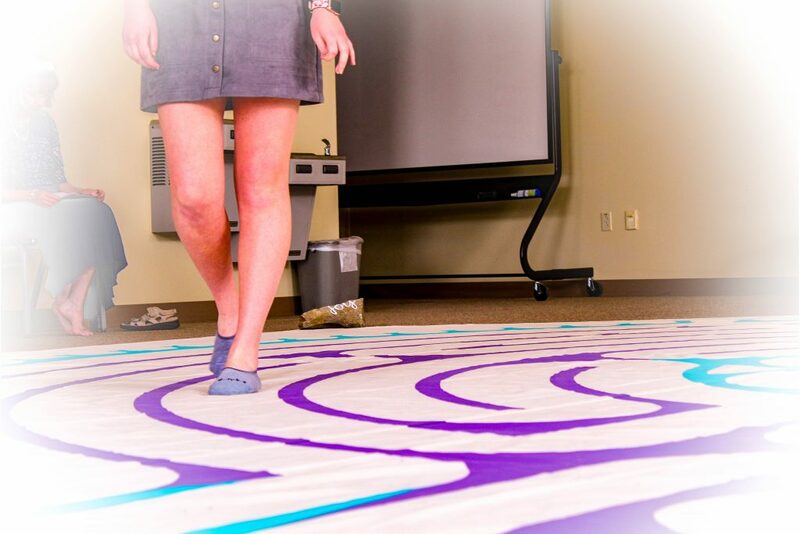 Instead, attendees gathered around a Labyrinth design that was printed on a large circular canvas. Jeff Buscher, college chaplain, spoke about Labyrinths and their variety of uses. Labyrinths are unlike a maze because they only have one path available. They are not meant to be a mental challenge, but rather a way for people to meditate, pray or think through problems as they walk to the center and back out. “Thinking is not required to walk a Labyrinth. At the same time, one must remain alert to stay on the path. This combination of reduced mental activity and heightened awareness makes the Labyrinth ideal for walking meditation or prayer,” a passage of an event handout said. The Labyrinth was rented from Relax4Life and remained available for student use throughout the remainder of the week. Buscher encouraged students to come back to the labyrinth alone and to use it to help themselves relax and clear their minds. He imagines that one day, a permanent Labyrinth could be installed on William Jewell’s campus. 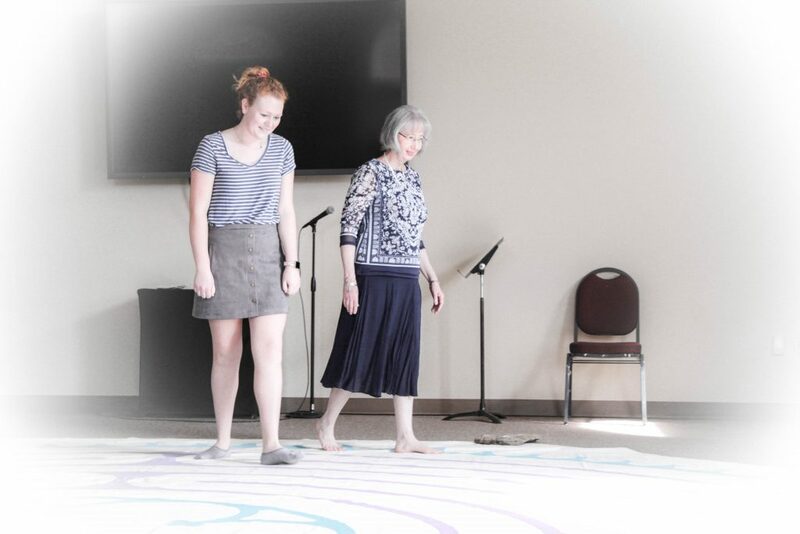 After Buscher explained the history and uses of the Labyrinth, several attendees removed their shoes and followed the path of the Labyrinth. The Labyrinth gives the walker the freedom to contemplate whatever they wish as they enjoy following a predetermined path.